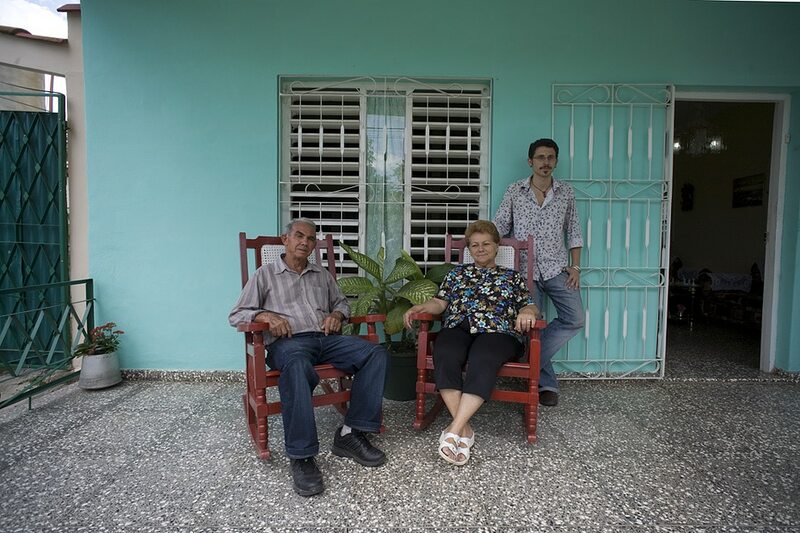 Fela and Marcelo, a retired barman and housekeeper, rent spacious, clean and comfortable rooms in their tranquil casa particular in Vinales. The rocking chairs on the porch have a nice view of the mountains at sunset, and the flowery patio is a pleasant place to relax after a day in the lush countryside. Fela and Marcelo are very friendly, speak English and serve hearty meals with pride. Cannot speak highly enough of Fela and Marcelo, the extended family, and their lovely casa particular in Vinales. Location is central albeit a little busy (for Vinales....). 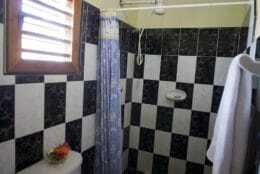 The facilities were clean and comfortable, breakfast was wonderful - all the basics well covered. The bigger plus was the warmth and hospitality - just made for a wonderful experience all around in one of the most beautiful places we have ever seen. We should all be so lucky as to have the opportunity to have hosts like Fela and Marcelo. 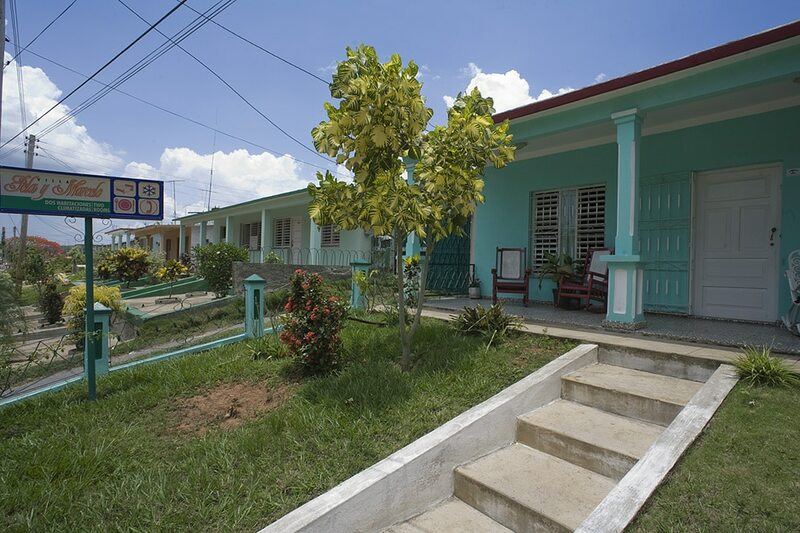 Would definitely recommend their casa as perfect accommodation for your stay in Vinales! 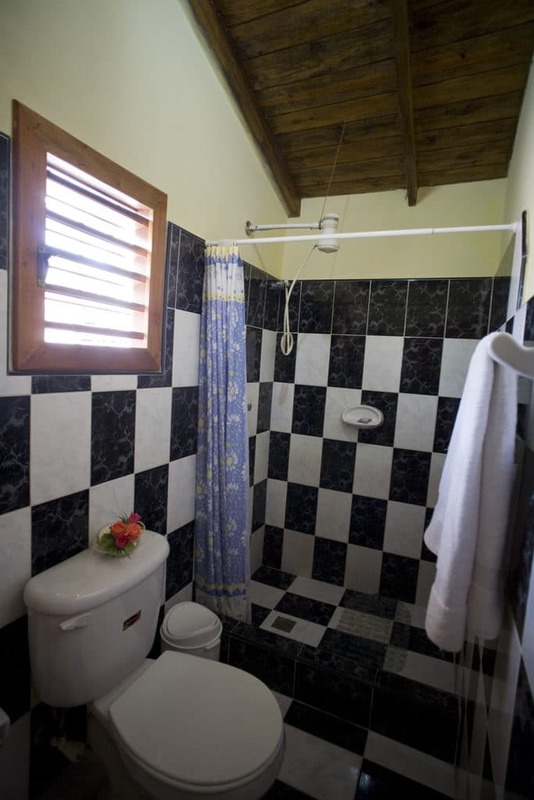 The room we stayed in was separated from the casa, with an ensuite bathroom and double and single bed. 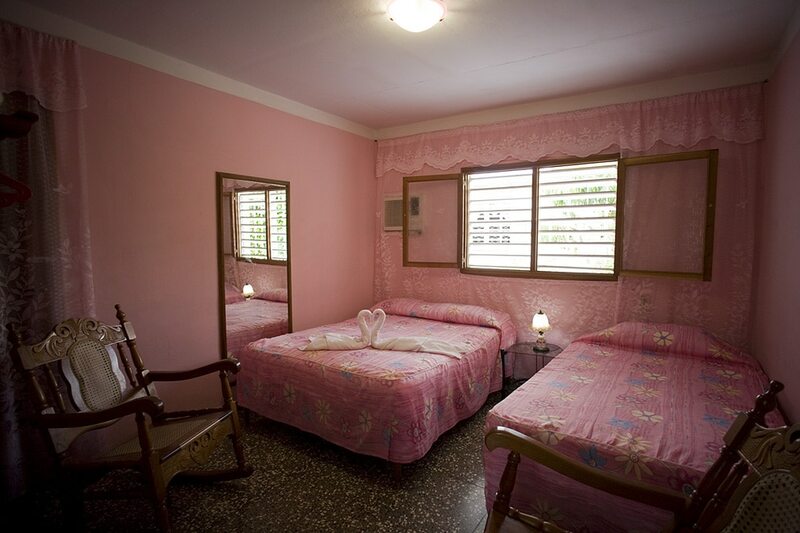 The room was comfortable, well equipped and spacious. We only stayed for a short time, so didn't have a chance to try the breakfast but we heard great reviews from others about the breakfast, dinner, and cocktails! The casa particular is located on the main street of Vinales so there is easy access to plenty of restaurants. My favourite aspect of the house was the rocking chairs in front of the room, on the patio. Note: the windows are only closed by shutters so mosquitos and other bugs are more likely to enter the room. The stay was comfortable and enjoyable, so I would happily recommend Villa Fela y Marcelo for anyone wanting a casa particular in Vinales. 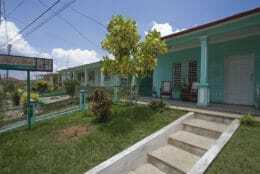 Had a great time staying in this casa particular in Vinales. Breakfast was brilliant and filled us up ready for a day's exploring.I highly recommend staying here with Fela y Marcelo. The family of Fely and Marcello are the friendliest in town! 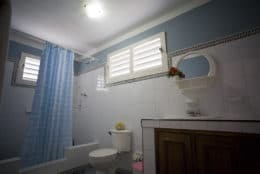 I am not sure if it was their son, but Miguel speaks good English and helped us booking tours, recommended the best restaurants and was always there to help us with everything we needed.The room we've stayed in was very large and clean. 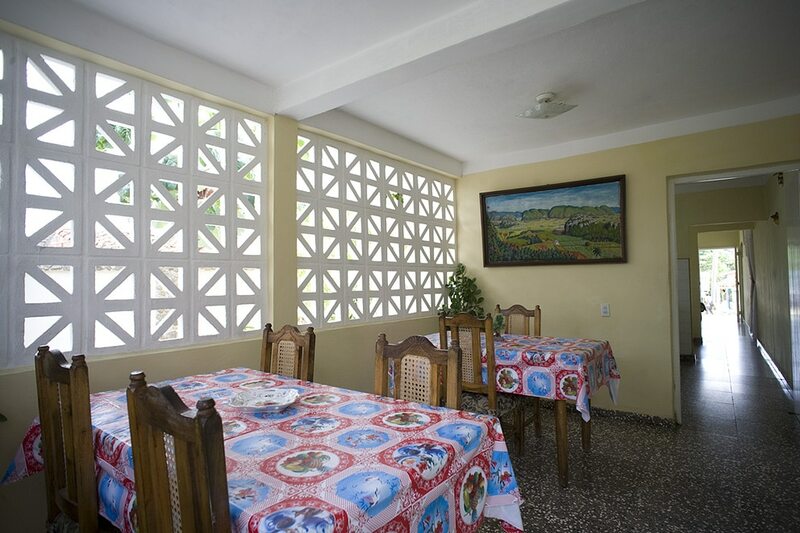 We highly recommend this friendly casa particular in Vinales! 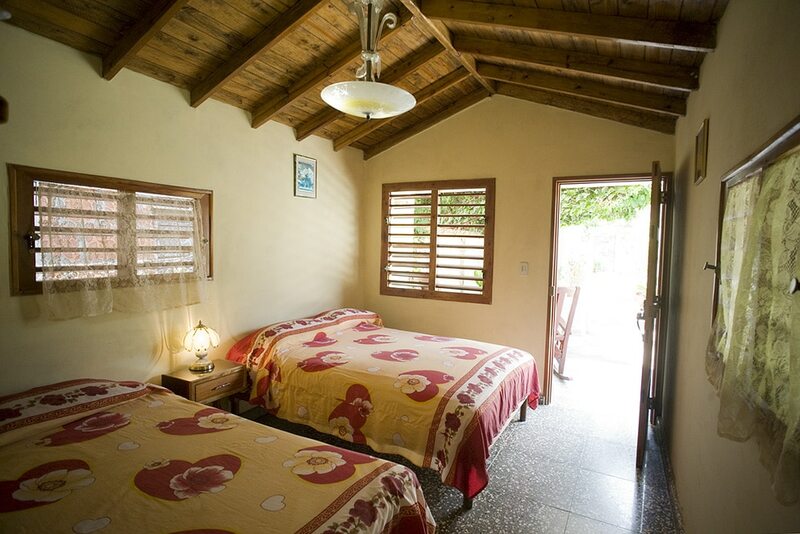 This casa particular in Vinales is very comfortable and relaxing. Fela and Marcelo really looked after us, they were wonderful hosts and gave us lots of good tips as well as perfect mojitos. Their son was in town when we were there and for a very small sum he took us on a guided walk around some of the local routes, including some cigar makers and coconut cocktail specialists. He was also very knowledgeable about the local history and landscape which we really enjoyed hearing about. We had a great time in Vinales, in large part thanks to Fela y Marcelo and their lovely casa particular.